Changing accountants has been made easier with the help of Khan & Co on my side and answering my calls day, evening and weekends and always helpful. What I like about Khan & Co is that there are no hidden charges - the price is the price and it does not matter how many calls or emails you send they just want to make sure you’re all good and saving you money on your tax return. If you’re looking for a great accountant and want the personal touch Khan & Co are the ones for you. We have been with Khan & Co for many years and are extremely happy with the professional and friendly service we have received. They have an excellent team and we would highly recommend their services. I have been with Khan and Co for five years now and have always found them to be very professional yet approachable whenever I have a question or need advice. I feel reassured that professional advice is only a phone call away. Excellent. Recommended to Khan & Co by a friend 5 years ago - I've never looked back ever since. It's great to be with an accountant with a high level of experience and service, who understands my business practice and offers me valuable accountancy support throughout the year. Overall, very pleased and impressed. I have known and been using the services of Khan & Co since 2010……I have always been impressed by their prompt and accurate service and they always look after the interests of their clients. 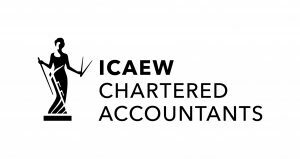 I strongly recommend their services to anyone looking for an accountant. Established 30 years ago, Khan & Co is a firm of chartered accountants in Milton Keynes, with a professional yet personal approach to business. We make it our mission to provide exceptional, year-round support to all our clients, no matter what the nature or size of their business. Our clients range from sole traders, contractors, freelancers and independent consultants operating through limited companies to specialist online retail businesses and dental practices. We are genuinely enthusiastic about learning about our clients and providing them with the best, tailor-made accountancy package; this means that we treat all our clients as individuals and do not believe in a ‘one size fits all’ approach. As well as comprehensive accountancy services, we also provide tax advice to both individuals and business owners. From simple queries relating to personal tax to more complex issues such as capital gains tax, we can provide you with invaluable advice and support that is second to none.